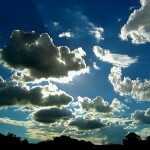 There is a lot of controversy and confusion at the moment over the term “cloud computing”. I have attempted to break it down in a simple way so that even laypeople can understand what this revolutionary new concept is all about. Please bear in mind that defining the exact nature of ‘the cloud’ is a subject of huge debate at the moment – I am just presenting some of my own conclusions from the information that’s out there. It seems that for the more technically minded people, cloud computing is more about the hardware (and how it is managed). While in marketing language, cloud computing is more about the user end side of things. There are two main areas that discussions on cloud computing can fall into: hosting and services. This is when a company uses ‘the cloud’ to access more servers as their need for computing power grows. They pay for this service on-demand, as required, and then can switch back to their normal arrangement when they no longer need it, similar to the way that electricity is provided. This means that companies can keep up with user demand without paying for very expensive new infrastructure. One example of this kind of ‘cloud hosting’ service is a new thing called Amazon S3. Within this whole area of cloud hosting are some more complicated concepts around virtualisation, cluster computing and the management and provisioning of same. Some of the main players in this area are crowds like VMware or technologies like KVM. This is the user end side of things that most regular people think of when they hear the term “cloud”. This means that users can access their data (think storage services like DropBox and Ubuntu One) and their software or web applications (e.g. Google Documents) from any device in any location. The bone of contention online or just what makes these services less about ‘the cloud’ proper, is that they can be delivered by cloud infrastructure or by traditional hosting services and methods. Software as a Service could be considered an entity unto itself which can play a part in cloud computing. The interesting thing about the cloud is that although this is a developing as an area of huge potential that could affect the way we think about life online, there are currently no real standards or official API’s in place. This means that nobody really knows ‘who owns the cloud’ or even how to pin down a real definition of it. If you want to learn more about life in the cloud (or talk to some actual experts! 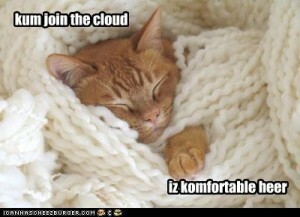 ), why not register to attend EuroCloud Ireland’s free event “Developing in the Cloud” this October. Thanks to Anntoin Wilkinson for his valuable technical input during the research of this article. Hey there, congrats on getting your site up and running, I love the theme and the article was very interesting and informative and easy to understand. Here’s to more of the same !